I think a lot about the various influences that interact to create the future of humanity. Culture is one of the most powerful of these, as it determines how we view others, how we raise our children, and what we value in our lives. I believe it to be both possible and necessary to understand what affects various human cultures have on the world, within the context of the future we see blooming before us. Many are reticent to perform such analysis, and this is often for good reasons. It’s possible to make all manner of mistakes while doing so, or to overgeneralize, or to have the results (themselves being a mix of truth and inaccuracy) be used as justification for some type of discrimination. But I grow tired of intellectual cowardice. Analysis of key human problems is needed if humans are to survive the next two centuries. Issues ranging from climate change, the proliferation of technologies that can kill millions or billions, and population control / resource exhaustion are all making the slow turn to charge us in coming decades. Unless we find the courage to identify and address the characteristics within ourselves that lead directly to self-harm, humanity faces self-extinction. I refuse to be one of the somewhat capable yet timid who will watch impotently through the glass as our civilization is destroyed by threats we saw long ago but said nothing about. This is obviously not a comprehensive list, but it’s not meant to be. The point is that each category relates to humanity’s future on the planet. Let us start with reproduction. For each of these attributes of (or themes within) a given culture, let us imagine a sliding scale between extremes, like the one seen above. For each of the slider bars, we’ll put known bad extremes on the ends, making the assumption that the real best option lies somewhere in-between. For reproduction we will have on the left the cultural belief and practice of simply having as many kids as possible, or at least a few, either without thinking (or being capable of thinking) about the various challenges those children will face themselves or cause for others. On the right we will have the belief that every single reproductive decision should be scrutinized not only be the parents, but by the community and by the government. An evaluation will be done of how many resources are left in the world, and the odds of this child contributing positively or simply becoming a draw on those resources, and a decision will then be made. Both extremes are bad, for different reasons, but since we don’t really have the right side as problem (yet), let’s focus on the problem we do have. Having children by default, without advanced consideration of how they will fare in the current world, is a primitive2 approach to human reproduction. This approach came to human culture when there weren’t enough humans on the planet, and it also roots from the concept of dice-rolling for family success. In other words, have lots of children—some of which will hopefully be men who are successful—who will hopefully carry on the name and take care of the parents as they age. Someone has to keep the family going, and take care of us when we’re old, so we should have lots of kids. Both are terrifically horrible ways to go about creating human life in the year 2014, and cultures that still behave this way tend to have come from, or still live in, countries where a number of modern concepts and advantages have not penetrated deeply for most of the population. Examples include things like widespread education, access to healthcare, and a relatively advanced form of democratic government. Given these conditions, it follows logically that members of these groups would still have the legacy mindset to raising children, i.e. given their constraints it still IS the best method. The problem is that those who reproduce in this way do not live independently of the rest of the world. They are benignly and naively producing children en masse, with the quite innocent hope that things will somehow work out (see the belief systems). What they’re really doing, though, is putting those kids into a woodchipper. With inequality surging to unprecedented levels, the chances of those kids getting a good education is extraordinarily low, and there are no jobs for them. There aren’t even jobs for their parents. This is especially true given the fact that cultures with this approach to reproduction are also likely to be far behind in how they view education in the first place. Let us now explore that component. With education you have a similar separation of extremes. You have on the left side a belief that education is for the super rich, and that all you really need to prepare a child for life is to give them a good work ethic. On the right extreme you have the belief that you are basically failing your child if you don’t get them a four-year degree, as a minimum (and ideally at least a masters). I could, and have, go on about the problem with the second approach, but given the current state of our world with respect to advances in automation, and outsourcing, etc., it’s clearly a much better problem to have than the first. So here we will be dealing with the belief that college is mostly for the elites, and that it’s quite respectable to simply go into the world and perform manual labor. Teaching children this, in countries like the United States in the year 2014, is grazing the line between naivety and ignorance-based child abuse. Our current job market in the United States, and really everywhere to various degrees, is such that people with no education or advanced skills are basically chattel waiting to be exploited. The one thing not to do is provide an endless supply of these hapless humans to those who would take advantage, yet that’s what this approach to reproduction equates to. Closely related to education is the issue of what people think is an acceptable way to earn a living. More specifically, it’s what parents teach their children about this topic. We can see two extremes above. On the left, it’s the idea that you don’t really need a highly-skilled trade; you just need to offer yourself up for some sort of blue collar work and everything will work itself out. There will always be work out for those willing to do it. Leave that hard stuff for the smart people. The only people with any value in this society are those earning the money and commanding the respect. That’s doctors, lawyers, engineers, entrepreneurs, etc. Figure out what pays the most and do that, otherwise you’ve failed yourself and your family. There are a decent number of cultures (and people in them) that are pretty close to having the problem on the right, but I think the raw counts of those afflicted are low compared to those with the problem on the left. Added to that is that it’d be better to deal with the problem on the right, while it’s potentially devastating to deal with the problem on the left at scale. Raising children to believe the narrative on the left, like raising them not to value education, is either the product of a lack of education in the parents teaching it, or it is gross negligence. Either way it must be stopped, as it creates masses of people who will be unprepared for the world ahead of us. When combined with the left-sided (see above) approach to reproduction, crime, mental health issues, and various other types of suffering will result. Perhaps just as dangerous5 as not preparing our children through education or trade/career is our failure to teach our children to become active citizens in their government. I know of no culture that promotes this as a key component, and that is deeply troubling. Without this being taught to our children we will still be passive. Even if we’re rich, or otherwise powerful, without taking a keen interest in how our country is being run, and by whom, with what influences—we will still suffer under those who have control. It is imperative that we include active political participation as a key moral and civic responsibility in our children. This means active and educated participation in local, state, and federal elections. It means knowing who all of their representatives are, their voting records, and who influences them through the donation of money. Without this we can win on all other fronts and still end up with an undesirable civilization. For belief systems we’re looking at a number of things, but it primarily comes to religion, political beliefs, and other value-oriented beliefs that affect how one governs their life and interprets fair treatment of others. On the left here we have, once again, the old way of thinking. In short, it’s a set of principles past down to the children which are never to be fundamentally questioned. One can inquire about the details, or ask to learn more about the beliefs given, but they can never be challenged as potentially untrue. On the right side of the scale you have something akin to pure skepticism. Question everything and always be re-evaluating your current beliefs. I’m not sure how far right is best to be, but the bar is surely more to the right than in the middle. Regardless of that point, it’s critical that we get more people towards the right, as far too many dabble perilously close to the opposite extreme. Because smart people who wish to manipulate the masses are ever-present, it is crucial that the masses are not taught at an early age to simply listen to authority and never question what they are told. We must teach people to question authority in healthy amounts, and to question beliefs that lack support for them regardless of their source. Too few people in the world are creative. Some lack what it takes mentally to be so, I imagine, but many more have (or had) the potential before it was smothered within them by parental and peer messaging. Culture is a big part of that. Too many cultures teach their children to pursue the money, to pursue the credential, and to grind their way to the top through sweat and persistence. And many of them get there, only to find it unrewarding. They then go on to envy those who enjoy their lives and their careers, and wonder why they cannot find joy in anything they do. Others are too unaware to notice that they’re not happy, and simply punch the clock day to day in a haze. They are happy to build nothing, create nothing, and invent nothing. They don’t consider themselves creators, or creative, or even capable of making anything that anyone would want to see, or read, or hear, or watch. They’ve been told they are uninteresting, and they believed it. This is a cultural influence that must stop. We must simultaneously teach our children that the grinding type of work is important, but also the nurturing of passions and interests and creative endeavors. Tolerance of others is an extremely powerful cultural value. Teaching children to hate this group or the other is something that sticks. We know this. We have studied it, and we see it all around us. And many of our cultures are extremely explicit and deliberate in their teaching of bigotry and hatred, whether based on race, or on gender, or on sexuality. Many Latino cultures, for example, openly dislike blacks and think them inferior. Many Asian cultures openly view blacks as sub-human, and don’t think much better of anyone else (with the exception of whites). And we’re all aware of the traditional views of southern whites when it comes to race. When it comes to the rights of homosexuals, many Latino cultures (combined with Christianity) have served as a powerful enemy in recent years. They have been taught by their culture that homosexuality is wrong, and they stand in the way of progress as a result. Of course the southern/white/religious culture adds its voice there as well. And then there is the issue of women’s rights. Few cultures outside the United States and some European countries fare well on this account, and even then there is much progress to be made. Watching TV in most Latin American or Asian countries seems to most in the United States to be an equality time machine (that only shows the past) when it comes to the equality of women. And of course all of this is taught, at an early age, to children. Beliefs like these do not easily fall away in adulthood, and it is categorically abhorrent that this continues to be part of many cultures’ core teachings. Other subcultures are extremely tolerant—even to a fault. There are many on the political left (usually upper-middle-class whites) who can have war declared on tolerance, right in front of them, and they will object to anything bad being said about the group. This is a problem that could have much more dangerous implications, but the number of people in this group is likely quite small. The bigger issue is that so many of our cultures on this planet teach hatred (or at least a strong dislike) of other groups of people. Whether that’s by race, or by religion, or by sexual preference, it matters little. We must find the courage to label these teachings as evil, regardless of who is doing the teaching. It’s quite often the case that the group doing the teaching is also the victim of numerous other infractions, so there is a tendency to avoid criticism. We must stand against the teaching of racism, sexism, bigotry, and homophobia wherever it’s being taught, and regardless of who is passing it on. The problem we face with cultures passing on negative attributes can be seen in Kant’s Categorical Imperative. This principle guides us to ask what would happen if everyone behaved in a particular way. So, for any particular culture in the United States, or in the world, what would happen if 90% of the world was like them? How much war would exist? How would women be treated? How would minorities (not of the dominant race of the culture) be treated? How about homosexuals? What emphasis would be placed on education? What would government look like? Try that exercise for the cultures you can think of and see how the various options play out. 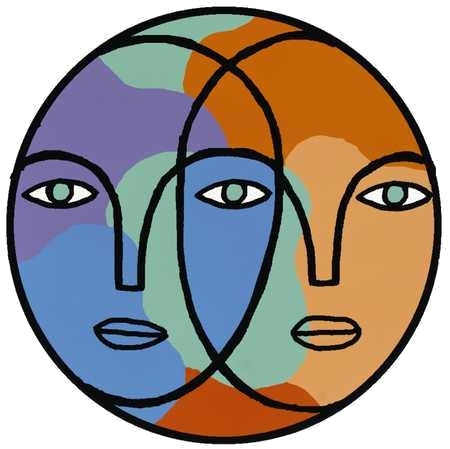 So if we come together in some grand meeting of the cultures and countries and peoples of the world, with everyone represented, and we set out to create a unified set of values, what would they look like? I’ll improve on these based on more thought and input from others, but it’s a decent start. Notice that many of the negative attributes of our existing cultures are addressed in the rules above, which was on purpose. I look forward to feedback and discussion. Note that when I say “primitive” with respect to approaches to having children, I mean that in the technical sense—not as some sort of insult. This is to say that it was actually the best model previously, but now it’s not. The exact date for this I don’t know, and is likely open to a great deal of discussion. Another category, which I didn’t think strong enough to include, was that of kindness and courtesy. A number of cultures seem scarred by perpetually competing against everyone around them, and have become accustomed to outright disregard for others. Coughing and spitting openly in public. Cutting in line. Elbowing others for a view. Etc. Like other harmful cultural attributes this too must be contained and eliminated by peer scorn. It should be obvious that many who were taught these various negative attributes are able to break out and thrive in exactly the opposite direction of their teaching. It could be *many times* dangerous. Racism is silly on its face, since it’s idiotic to hate someone for being a race that they didn’t choose, or to be proud of being a race that you didn’t choose.